WorkSafeNB has tightened up its approach to opioid prescriptions for injured workers. Opioids are highly addictive drugs that were associated with more than 2,000 deaths in Canada in the first six months of 2018. "We want to get ahead of that and we want to try to prevent that happening here on the East Coast," said Dr. Paul Atkinson, chief medical officer with WorkSafeNB, said Monday. In New Brunswick, seven people died from opioid overdoses between January and the end of June last year, down from 15 people during the same period in 2017. Why are so many New Brunswick doctors prescribing a potentially deadly drug combo? Atkinson said a policy in effect since the fall at the Crown corporation asks doctors to give careful consideration before prescribing opioids. "We would like to ask physicians — really ask them strongly to consider — does the patient need an opioid?" Atkinson said. If a doctor feels an opioid is necessary after a surgery or a fracture, WorkSafe will only cover a two-week prescription of less than 50 mg of morphine equivalent per day, or what would amount to two Tylenol 3s, four times a day. Then the patient will need to be reassessed, Atkinson said. Previously, he said, some clients had been prescribed more than 100 mg of a morphine equivalent. "We ask the physician who's prescribing to fill out a form stating that the opioid is required," he said. "We ask them to monitor the function of the patient to see if they're improving at different frequencies depending on the type of injury." Atkinson said pharmacists will also ask a patient a series of questions to make sure it's safe to take the medication. "We've increased the frequency that we will be monitoring and we've introduced more standard testing questionnaires about function," he said. "Is this helping you get back to function? Because that's the purpose." Atkinson said the changes come after extensive consultation with New Brunswick's medical community and the general public. In a news release, WorkSafeNB said opioids are a class of synthetic narcotic medications usually prescribed for a short term to treat pain from injury, disease or surgery. But a rapid increase in the use of prescription and non-prescription opioid drugs in North America began in the late 1990s and continues. Atkinson said there's growing evidence that being on an opioid does not improve a client's function and it doesn't improve long-term pain significantly more than non-opioid painkillers. In fact, he said, exercise, physiotherapy and other non-opioid drugs can produce better function or at least as good function as someone using an opioid. "The research is clear that opioids are ineffective for chronic aches and pains and as such should only be used when absolutely necessary," he said. Atkinson said that while opioids have therapeutic purposes, there are serious risks associated with their use, including addiction, overdose and death. "The research is clear that opioids are ineffective for chronic aches and pains and as such should only be used when absolutely necessary." 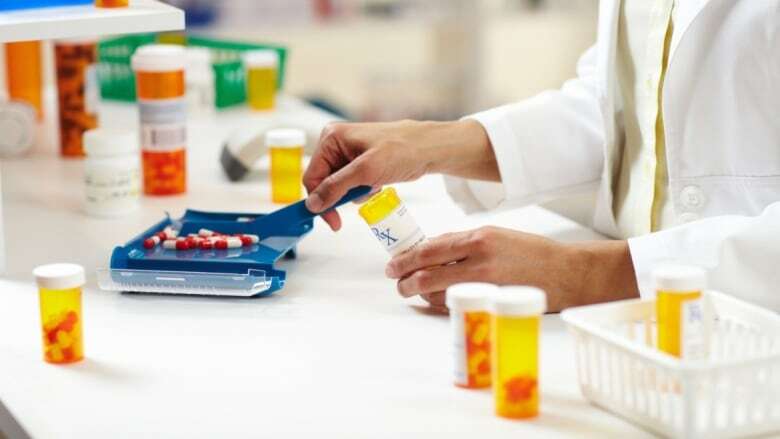 WorkSafeNB is continuing to work with the New Brunswick Medical Society, the College of Physicians and Surgeons of New Brunswick and other members of the Provincial Opioid Prescribing Task Force to encourage safe prescribing and dispensing of opioids. "We don't want to be putting people on medications where it actually decreases their function," he said. "We want workers to get back to work, we want them to get on with their lives, enjoy time with their family and be out and about doing things."